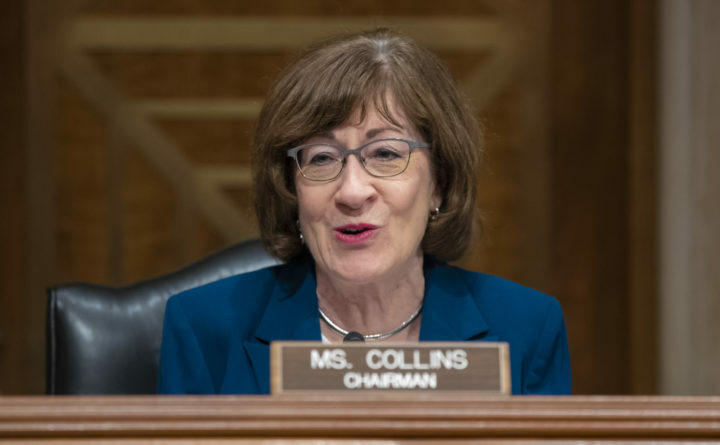 Sen. Susan Collins, R-Maine, chairs the Senate Special Committee on Aging on Capitol Hill in Washington, Oct. 3, 2018. On the House side, U.S. Rep. Chellie Pingree, a Democrat serving Maine’s 1st District, placed 138th. Freshman U.S. Rep. Jared Golden, a Democrat from Maine’s 2nd District, was not in the running because he was only elected in November.